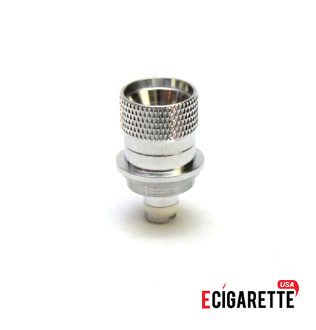 This product is the replacement coil head for the Vhit Glacier Wax Clearomizer. Replacement of this coil head will prolong the life of your Vhit Glacier Wax Clearomizer and will ensure hours of vaping pleasure. 1. Remove the base from the bottom of the clearomizer by unscrewing. 2. Unscrew the coil head and replace with a new one. 3. Replace base by screwing it back onto the bottom of the clearomizer. • For best results, please apply appropriate amount thick oil/herbal wax, do not overload the coil. Overloading will cause irreparable damage to the coil. • To prolong the life of the tank, disassemble the clearomizer and clean on a regular basis.